Things are coming together for the music weekend in Manjimup in Western Australia. Manjimup a small township is just 307 km south of Perth, in the beautiful south-west corner of Western Australia. It is indeed a land rich in forests, abundant fresh water, rich soils and astounding landscapes. The early settlers of Manjimup rejoiced in the potential wealth of their land and went on to create their future with the axe, plough and the sweat of their brows. the town of Manjimup is now the vibrant cultural legacy left by this rich pioneer history. Manjimup has a population of around 5,000 and is the regional centre for the Warren and Blackwood Valleys, providing all the facilities you would expect of a small regional community, including an airport. The Making Music In Manjimup weekend is scheduled for Fri 3rd to Sun 5th Oct. 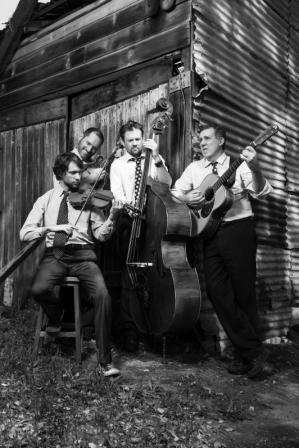 This year’s festival features Queensland based band The Company made up of George Jackson (fiddle/banjo), Michael Patrick (mandolin/fiddle), Markus Karlsen (bass) and Jamie Clarke (guitar). There is a variety of workshops planned for children during the day one of which is a Bluegrass style Rhyme Time for little children at the Manjimup Library. The festival programme also features a series of craft classes and new this year are healthy cooking classes sponsored by LiveLighter an initiative undertaken by The Heart Foundation WA in partnership with the Cancer Council of WA. Want to feel confident at a bluegrass jam session? Why not do a learn to jam workshops with Greg McGrath from Jam Camps Australia. Greg ran a very successful jam camp here in Manjimup in 2013 and plans are underway for another camp in 2015. There will also be music workshops for newbies and beginner players. Dance workshops and theatre workshops are possible. 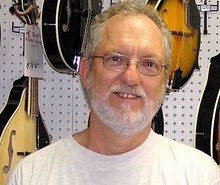 Do you play bluegrass music and would like to perform – let us know via our website. Learn to jam bluegrass style. The program is still being developed with loads of additional performances, workshops and activities. Please come along, you are most welcome. We’d love you to be apart of our 2014 Making Music in Manjimup weekend on 3rd to 5th October this year.